Please join us for an exciting event in the Breedekloof on Friday 28 October 2016. 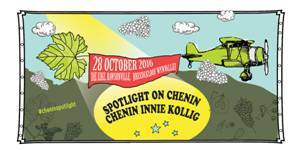 The Chenin Blanc Association, in partnership with the Breedekloof Wine Valley and Stellenbosch University is hosting the day with the spotlight on Chenin blanc. The technical seminar in the morning will also include feedback on recent research and tasting of the Standard Bank/Chenin Challenge 2016 Top 10 winning wines and also wines from some the oldest vineyards in the country. The seminar will be followed by leisurely lunch under the oak trees with more informal tastings. Please visit our website for programme and link to ticket sales. Do not miss out – we urge you to book early.